I have worked in Salesforce space for the past ten years and is the proud founder of the Salesforce Consulting company named Cloud Analogy. I have worked with our global clients to render Salesforce Consulting services in data migration, data integration and customized Salesforce solutions. Today, I am here to share my experiences about our client who wanted us to integrate Shopify with Salesforce. First, let us understand “What is Shopify?”. Shopify is an e-commerce platform that comes with varied e-commerce and Point of sale features. These are what lets you start, manage and grow your business. This is one place where we can build our online store to manage our users. There is a Shopify online store builder that enables to customize the look and feel of an online store builder. Now, let us delve into the best CASE STUDY we have so far. In the Shopify Store for the client, the user fills a registration form and submits the same form. A request is sent to the Salesforce and the system checks the same details inside the Contact object. If it exists, then only a corresponding client is created inside Shopify with details such as First name, last name, email address, and password. In the situation, when the same details are not found in the Contact details of Salesforce, then an alert message is displayed as in the below figure. The below figure shows how contact is created in Salesforce. 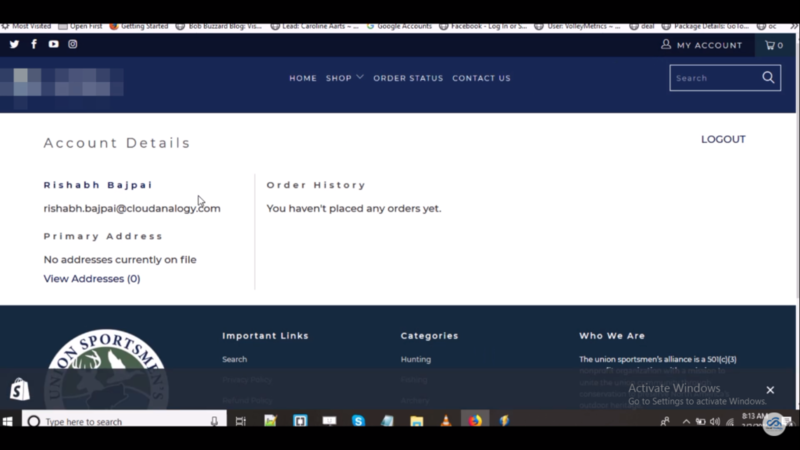 The second task was to integrate Shopify with Salesforce to add a tag in the customer profile. The already existing tag for the above customer profile in the above screen was that of participation tag. It was basically a picklist dependent Salesforce field and the client wanted us to reflect to the customer profile of Shopify. Let us now come to the solution that was provided by us. In the Salesforce Membership object, there is a picklist field. On selecting a specific record in Salesforce, we arrive at the membership details page. This is where we can change the membership level say platinum, from a picklist field as shown in the below diagram. After a change in the picklist value, the same value will be reflected in the Shopify page, after refreshing the page. The tag is changed to reflect the change in the picklist value. This we had done by implementation of a trigger that passes the change to the picklist value and sets it to put a request to the REST class. Scenario 1: The users who visit the Shopify Store for the client fills up a registration form and this needs to be integrated with Salesforce. 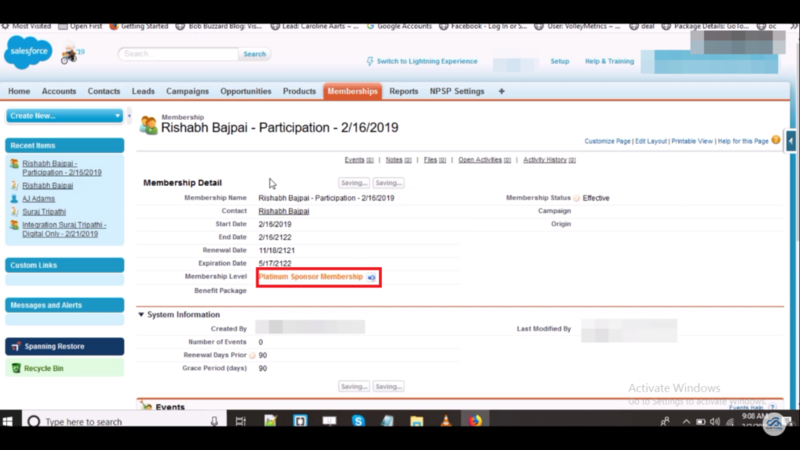 If the contact of the same name does not exist in Salesforce then an alert message is displayed and the name is added as a Salesforce contact. Scenario 2: Requirement of changing the membership level of a contact in the membership object in Salesforce. When a specific record is chosen in Salesforce, then it takes us to the membership details page, where a changed picklist field value for the member is reflected in the Shopify page and the tag for the same must be changed with the same picklist value.